- We profess our faith in God our Heavenly Father, in Jesus Christ our Saviour and Lord, and in the Holy Spirit, our teacher and guide. - We believe the purpose of our congregation is to form a unified community of all ages with a rural setting. - We believe our church is not only a building or landmark, but a caring community providing a friendly, safe and caring atmosphere, sharing our time, our talents, and our love for one another. We seek to develop leadership in the community and be a resource for social justice issues and those issues which affect us all. - We believe our church is one that provides for the well-being of its members, through worship, communion, fellowship and outreach. 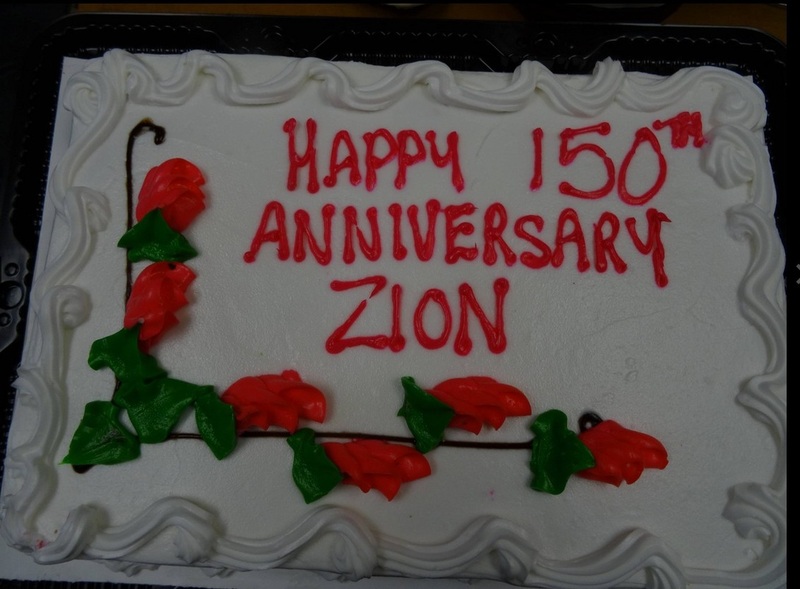 Zion United Church is located at the corner of Mull Road and Pinehurst Line (Kent Road 14). The congregation meets for worship at 9:30 a.m. with the Sunday School meeting during worship. The sanctuary can hold 150-200 people and boasts beautiful large stained glass windows. The church turned 100 years old in June, 1999. There are steps going down into the basement which holds 80-100 people for suppers, community events, fundraisers, etc. There is a large attached kitchen. An accessibility report has been addressed concerning those with special needs. Zion has a friendly family atmosphere with a mix of young families and grandparents. The congregation welcomes visitors and friends to join them for coffee and fellowship following the service. 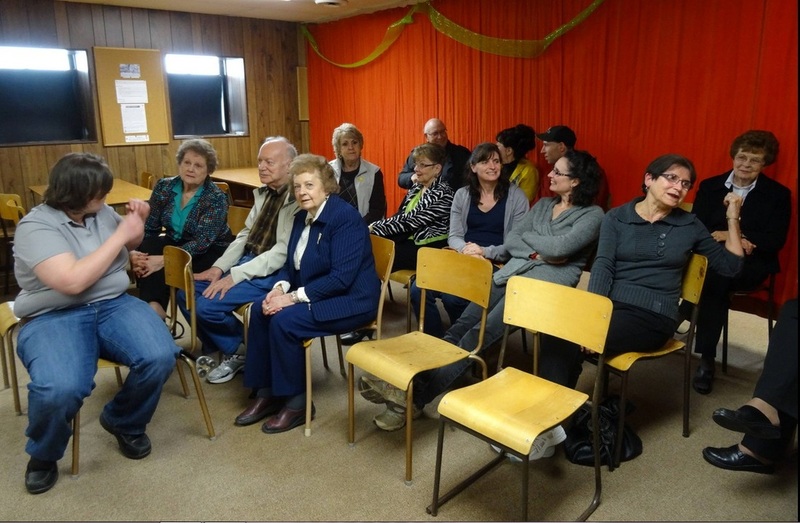 A small but enthusiastic Sunday School group meets weekly in the basement. Volunteer organists are very faithful and a small choir sings most Sundays with their rendition of old favourites and new music. The congregation uses “Voices United” and “More Voices” hymn books. There is a good attitude in the congregation full of dedicated volunteers with a working team spirit. There is obvious community spiritual caring. The active United Church Women serve as a strong backbone for the church. The U.C.W. supports a foster child overseas, Kenesserie Camp, Mission and Service Fund, and remembers the sick, hospitalized and bereaved with flowers, cards and visits. They provide lunches following funerals, suppers, Christmas concerts, etc., hold annual bazaars, plus support local charities. A Pastoral Charge marriage policy is in effect. The first church, a one-story frame structure, was built in 1864 on land donated by Joseph Nash. In 1876, the property was transferred to the Trustees of the Zion Church of the Methodist Episcopal Church of Canada. In 1899, the present church was built. The Zion Methodist Church officially became Zion United Church in 1925. A kitchen was added to the structure in 1974. In 2013, we celebrated 114 years of worship in this building and 149 years of church services on this site. Zion U.C. 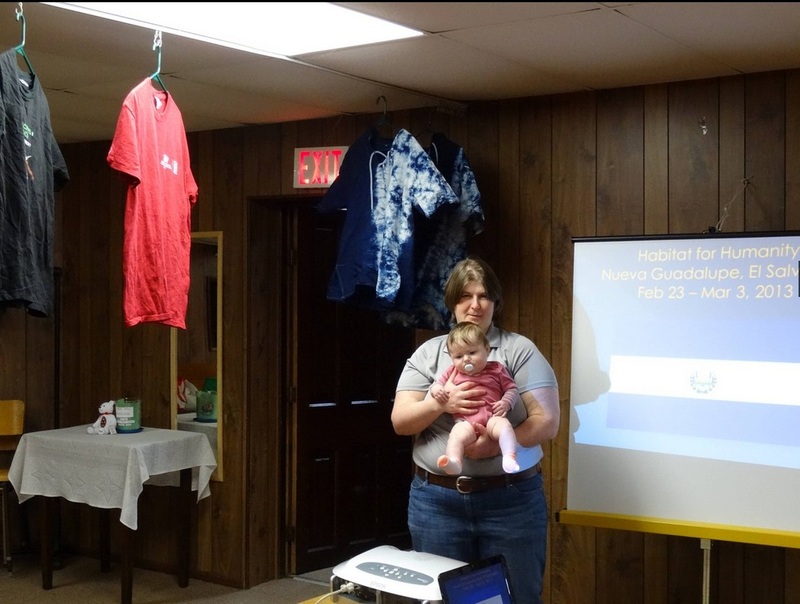 held a social event presentation on April 12, 2014.
on Sunday, June 22, 2014.
at the luncheon which followed the service. Click here to see the slideshow of the service.